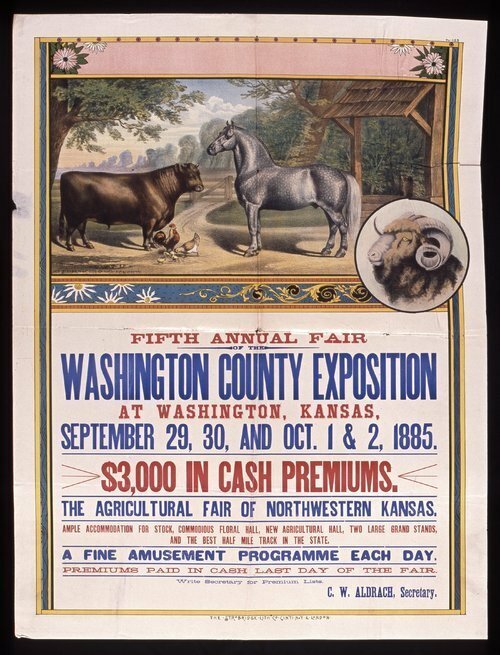 This poster announces the fifth annual Washington County Exposition to be held at Washington, Kansas. Highlights of the fair include $3,000 in cash premiums, a fine amusement program each day, and a new agricultural hall. The poster includes color illustrations of livestock.